This week’s Release Report kicked off with Steph Curry’s latest “Heart of the Town” Curry 6s alongside the Kith x Mastermind Japan x Vans Collection and Nike’s “Unboxed” Air Max 97s. Heading into the weekend, Jordan Brand will be dropping its “Laser” Air Jordan 4 SE, while Nike drops off three Blazer Mid 77 Vintage colorways and a “Midnight Navy” Foamposite One. 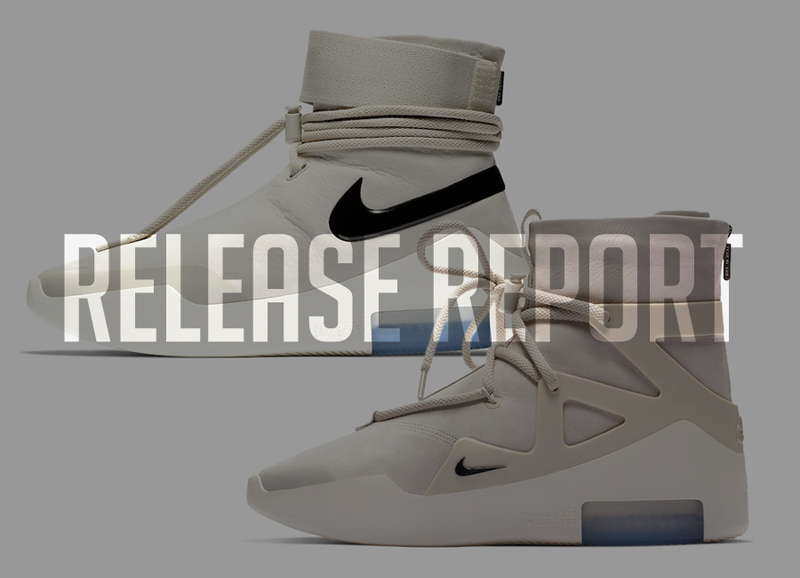 Jerry Lorenzo will also release the Air Fear of God in “Light Bone” and the Shoot Around version in a matching colorway. adidas rounds out the lineup with a handful of options to select from. Kicking off next week, Nike Basketball will release two iterations of the “Equality” LeBron 16 as well as the Kobe 1 “81 Points’ in Protro form.